This photo was somewhat overexposed, but I edited it in PhotoStream on Flikr. This is a better exposure, and I'm still working on the programs and settings to use. 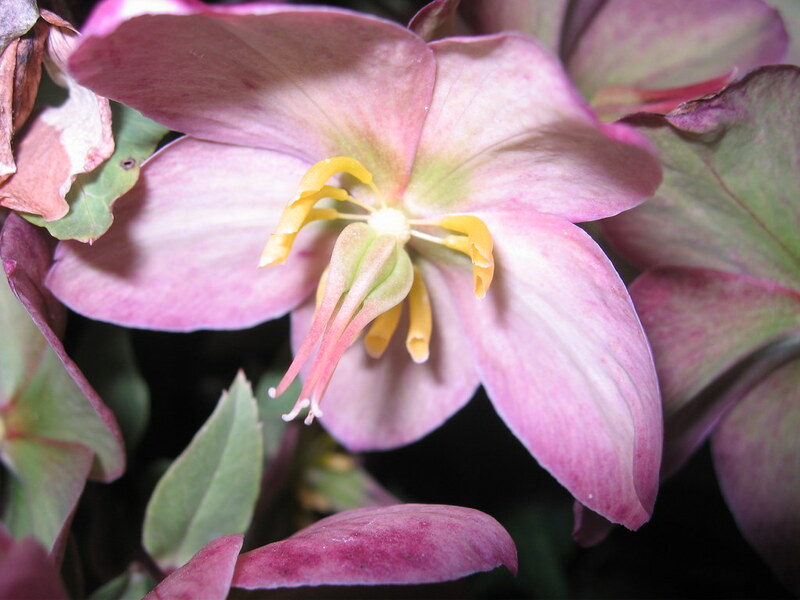 There is a "Flower" setting for macro photography on this camera. This one came out great. I took these photos at night, and so the camera did all the adjusting. 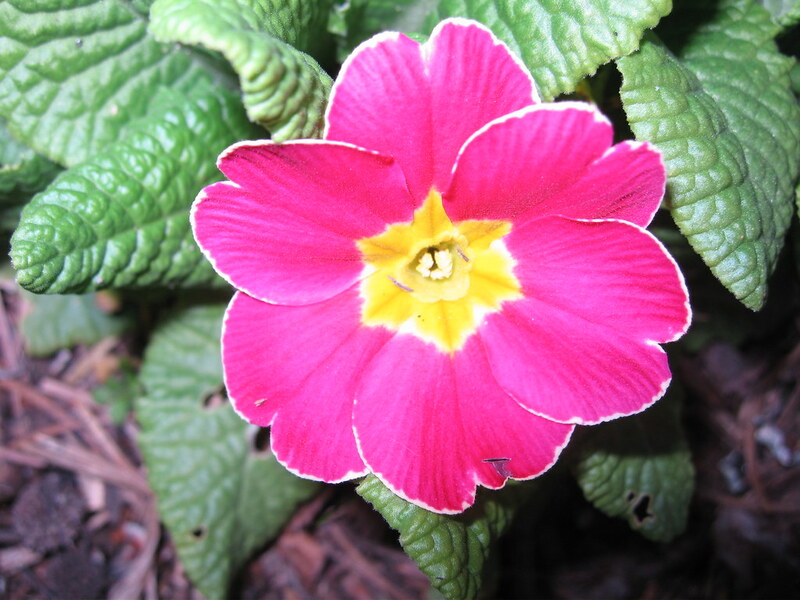 Here is a daylight macro photo of this flower in my yard. Again, very nice. So I started getting excited, and when I could not sleep, looked up the following on E-Bay, "Canon SD500 Underwater Camera Housing." I had seen these several years ago, but as I remember they were pretty expensive. But then I found one for $16, and decided to get it. With shipping, it came to just over $25. Well, today I received the housing. Right on the top, it states, "40M/130ft." Wow, that is what I was hoping for. Note the depth of field, and the great exposure (not changed). I have been wondering about what to do with my future for underwater still photography. 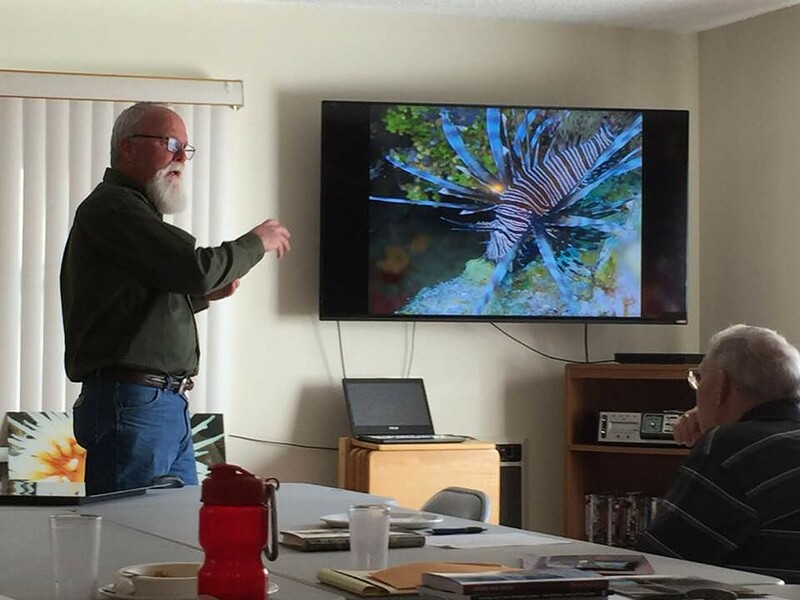 Steve's presentation may have solved my problem! 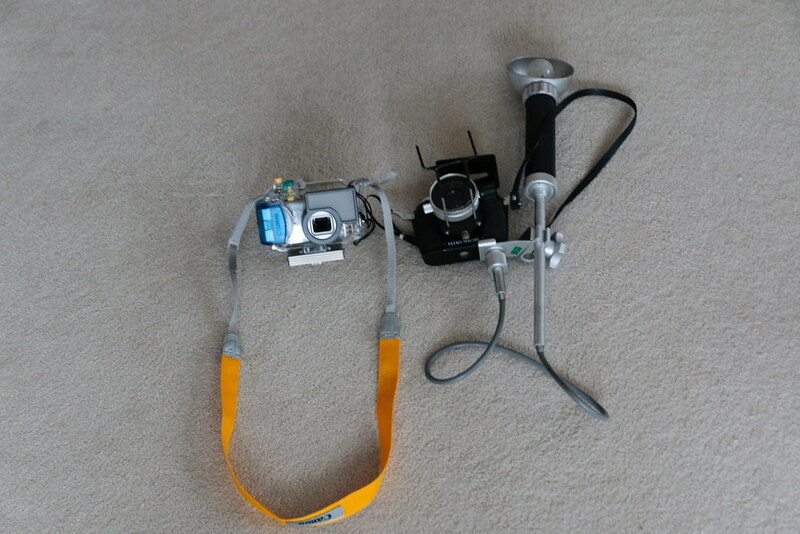 I would add that this housing/camera combination is as small as my Nikonos II underwater camera. John, how do you fit that Leatherman into your pocket, that thing's huge! 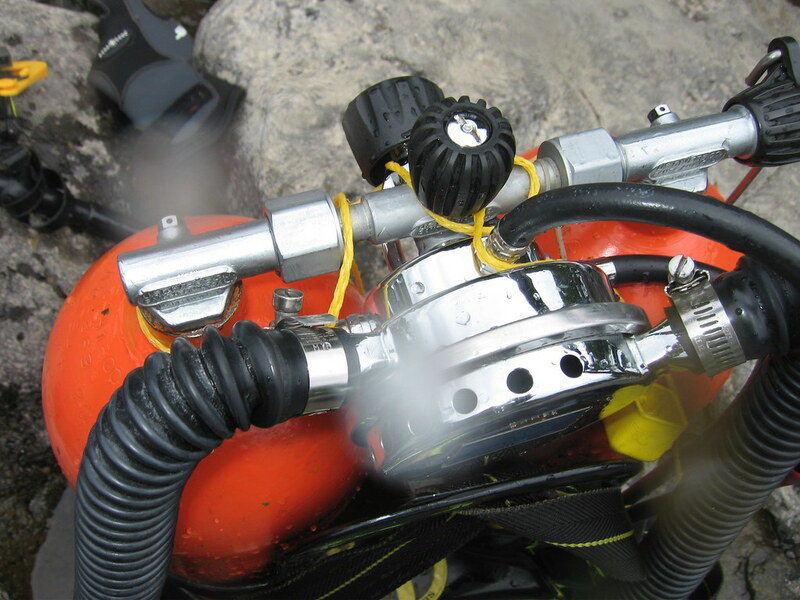 Think of it like using a tilt-vale Scuba Star and then switching to a Conshelf XIV WHOOO-HOOO! I am using Photoshop Elements, which came along with my scanner (an Epson). I used to have Photoshop, but stopped when they went to a subscription whereby you had to kinda rent Photoshop on a yearly basis. For the same reason that I won't use that other photo hosting service, PhotoBucket, I have not started using Photoshop again. I had to change when Apple came out with their new computer/operating system, and my old copy of Photoshop would no longer work on my new computer. 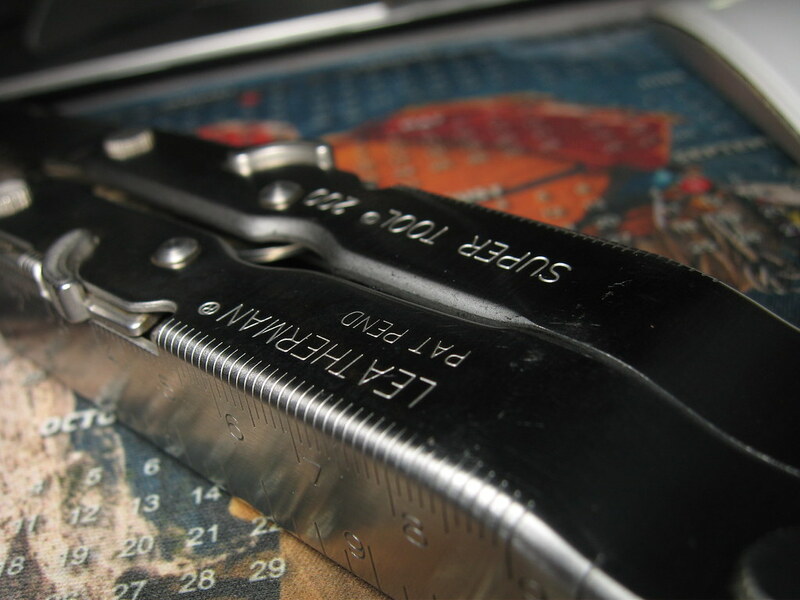 Now, about my Leatherman Super Tool 200, it is big, but very, very useful. Today, I used it's serrated blade a number of times when we were moving food boxes from our cars into the church for our food bank. I could open boxes, and ultimately cut through the cardboard to put the used boxes into recycling. Then, at the Honda dealer, we needed to change out wiper blades on my Pilot, and I had after-market blades on it. Well, I used the pliers to get the rubber blades out of their retainer. It has a screwdriver (both standard and Phillips head), a can opener, a leather punch, a file and a small blade as well as a standard blade. The only thing is that when going into a secure area, the security officers won't let it in as the blade is over three inches long (about 3.5 inches, actually). So I need to be careful about that, and when traveling by air, it goes into the baggage. I don't carry it in my pocket, but rather on my belt in its case. The Canon case for my camera is now undergoing a water test (surface) prior to using it in a pool, probably on Friday. 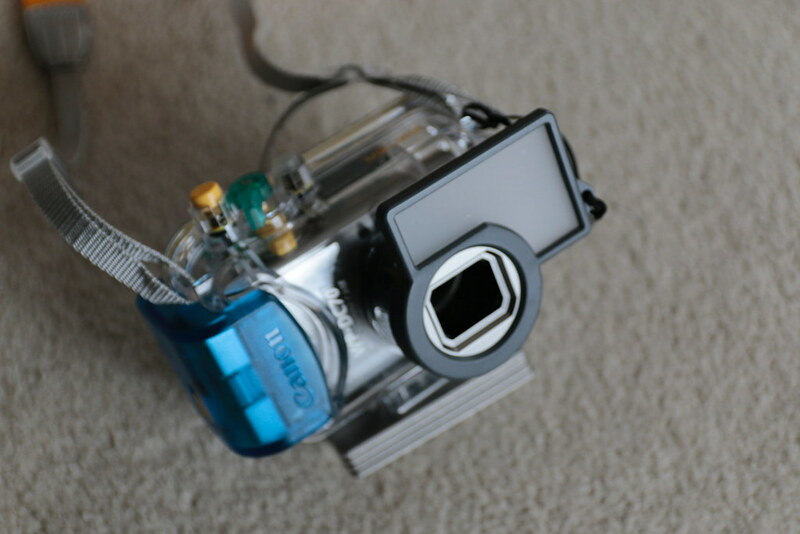 Yesterday I tested the Canon underwater housing for the Canon PowerShot SD500 camera, and it was water-tight. So today, when we were swimming, I took test photos of Chris and a painted stone, to test the flash capabilities on a person and the macro capabilities. I also took the camera in the case to 15 feet, and monitored it quite closely for leaks--there were none. This housing allows easy access to all the camera functions. 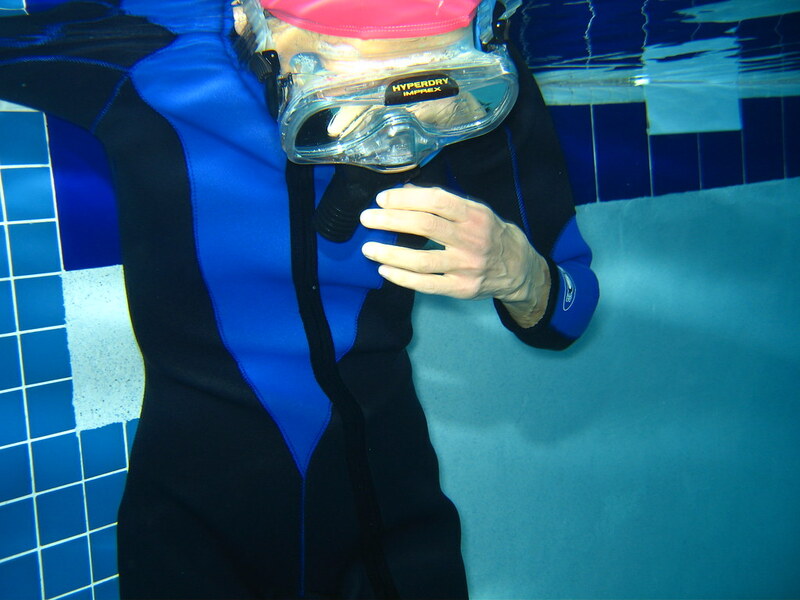 All the buttons on the camera work, and I can even monitor the photos I've taken while underwater. I have only one complaint, and that is that the camera has almost a one-second delay between when the shutter is released and the exposure happens. I'll have to got used to that. When I was testing the macro capabilities, I had a rough time getting the camera settings correct. I'll have to watch that on an actual dive. Sometimes the macro setting was lost, and therefore the camera would not focus correctly. Or, the flash setting was lost, and it would not flash resulting in a blurred photo. But other than those small things, the tests came out quite nicely. Chris is at the pool edge, about to begin a lap swim. Note that "No Diving" is allowed, but we were allowed to snorkel. 'Just kidding...this has to do with the shallow depth at this spot, and not scuba diving. Wife Chris testing her mask for leaks. Chris' zoomer, caught in stop-action by the strobe pulling surface bubbles down. Looking up at Chris, without strobe (due to improper setting). 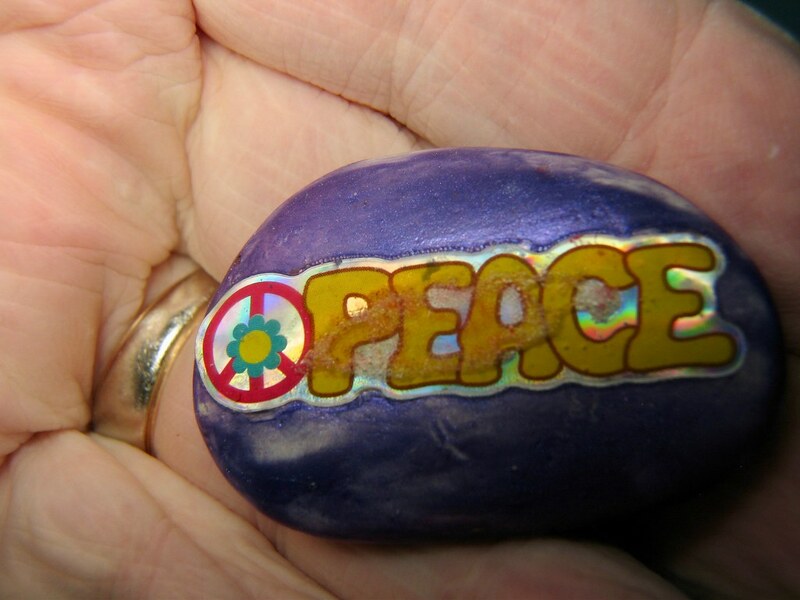 "PEACE Rock" in my hand, showing the macro capabilities of this small Canon PowerShot SD500 camera/case combination, with strobe. 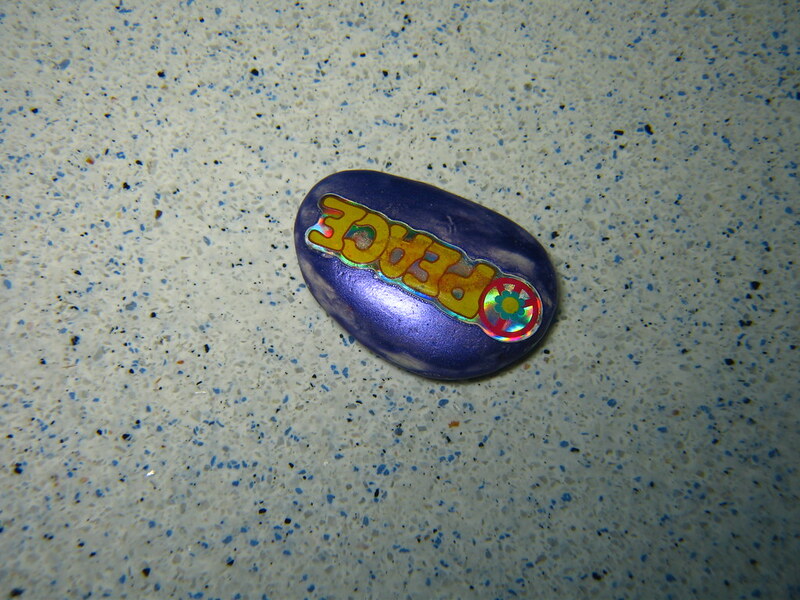 The "PEACE Rock" on the bottom, with strobe. Photo from the Canon PowerShot SD500 in a Canon underwater case. Needless to say, I am very pleased. This test of this camera system shows that I now have the capability of both macro and regular photography using this rather inexpensive system, and can get outstanding results. Not only that, but this camera has video capability too, which I also tested this morning. Now you get to see the actual case. This is the Canon housing for the Canon PowerShot SD500 camera, in comparison with my Nikonos II system with a BC flash unit that I used in the 1960s and 1970s. 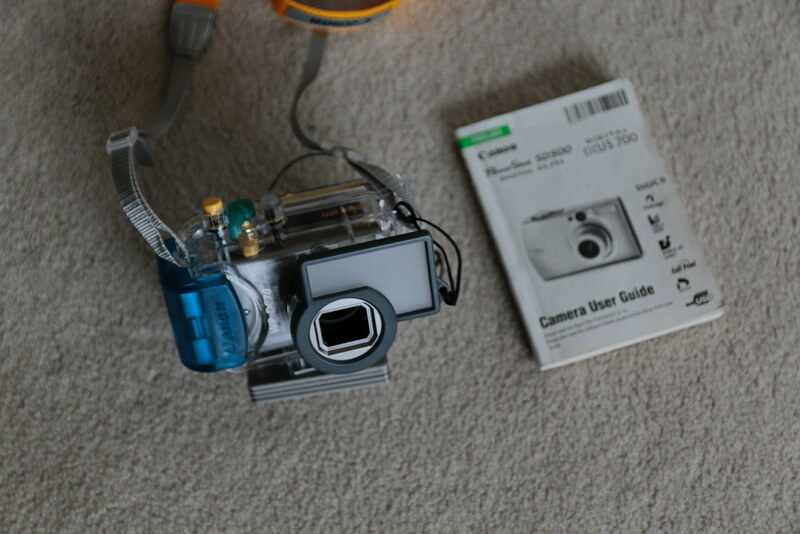 Here is a closer photo, showing the housing with the camera inside in comparison to the manual. This closer photo shows the diffuser over the flash from the camera, and the weights below the camera. These weights make it negative in freshwater, so probably almost neutral in salt water. Finally, Marion and I went diving at High Rocks, in part to test my new underwater housing for my Canon camera. The results were, I'm searching for a word...well, I'll let you see. Here is Marion, with his Royal Aquamaster and twin 72s, on our dive today at High Rocks. But this isn't the photo that I need for my amphipod project this summer. 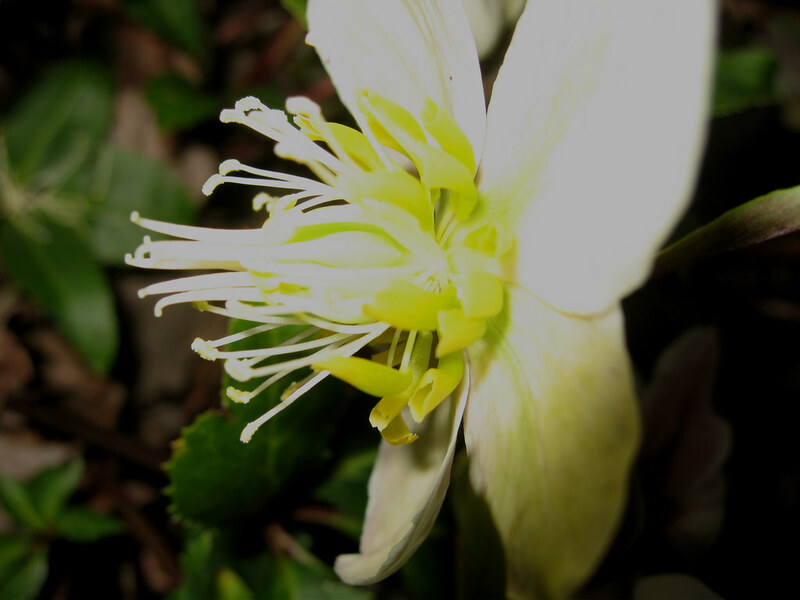 What I need is some macro photos, so I used the button to get the flower icon, for macro settings, up, and shot some photos. Some of them were not pleasant to see, and they were dead lampreys and a dead mole or shrew in the water. So I'm not showing those. But these allowed me to see that this camera can do what I want it to do later this year. 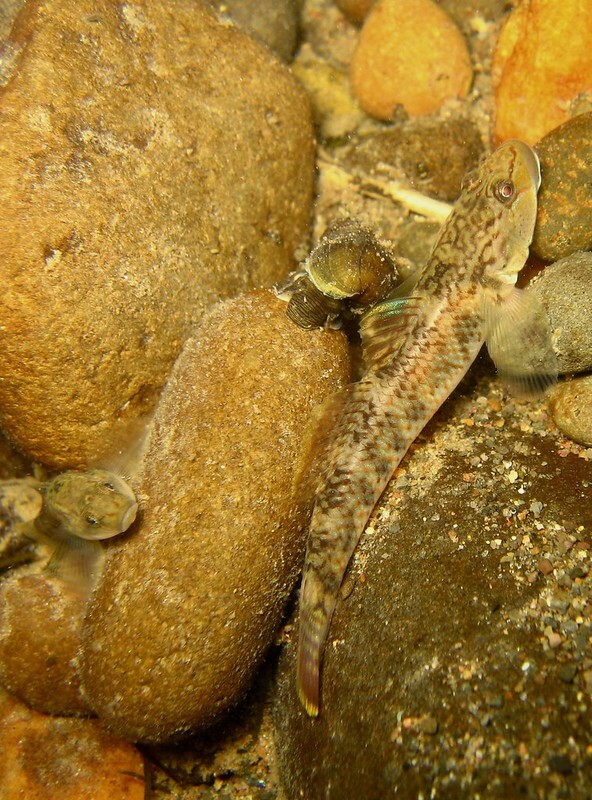 This photo is of a sculpin, or bullhead, on the bottom. It stayed in place, and I got several shots of it. 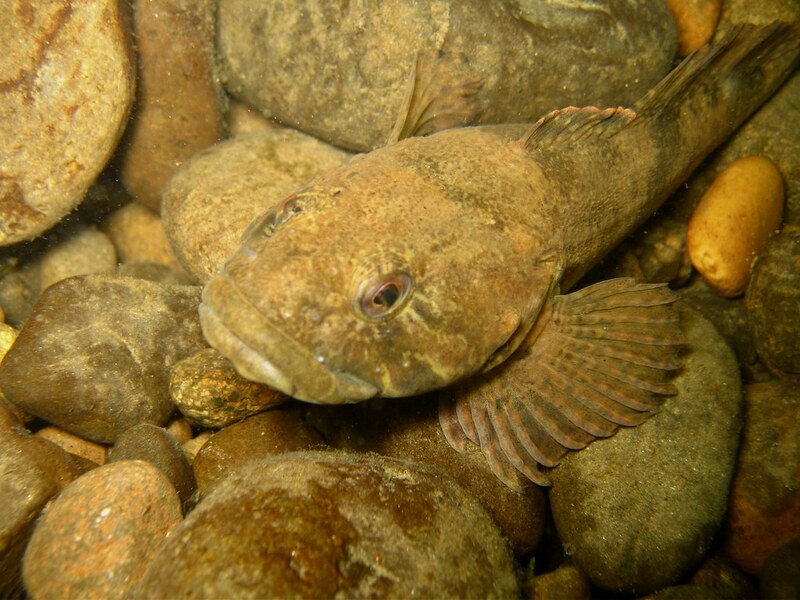 This is probably the mottled sculpin, Cottus bIrdi Girard, which is seen throughout the Columbia River system. 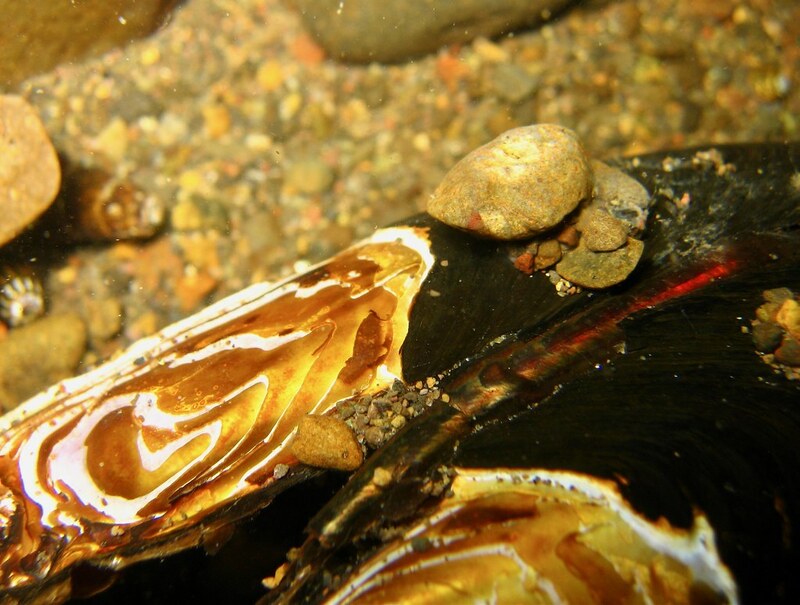 This is the Western Pearl Mussel's shell (Margaritifera falcate), as this mussel has died and its shell is being used by an insect larva as a substrate, or just something to attach to. But it makes for a very interesting composition. Both these latter two photos show that this camera will do what I want with documenting the sea anemone/amphipod relationship later this summer. After today's dive, I probably won't be diving with the diver's flag again in my Clackamas River dives at High Rocks. Why? Well, with a line to me, and in current, there is the constant potential for tangling the lines. Today's tangle was one of the worst so far, and I almost decided either to doff my scuba and untangle it underwater, or cut the line (I even had my knife out at one point in the dive). I did neither, and decided simply to continue the dive with the tangled line, and sort it out when I exited. 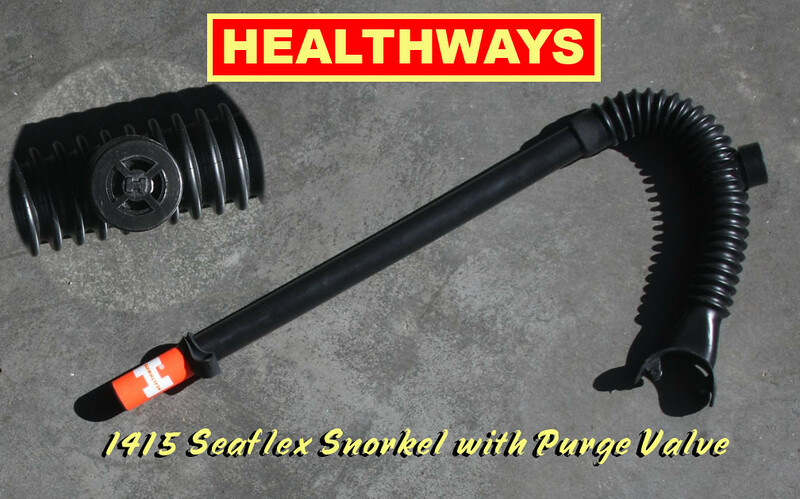 The below photos show the scuba (I dive vintage) tangle. I also wanted to continue testing my U/W camera system, a Canon PowerShat SD500 in a Canon case, for use next month in Yaquina Bay (I've included one photo for you to see the results). Well, it took me about five minutes to untangle the scuba after exiting and taking off my gear. So I doubt I'll again take the dive flag. 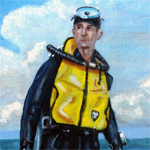 Now, I'm getting up there in age, and so this measure of diving a dive flag was mostly to show the lifeguards where I was, and if anything happened, they could get to me quickly. 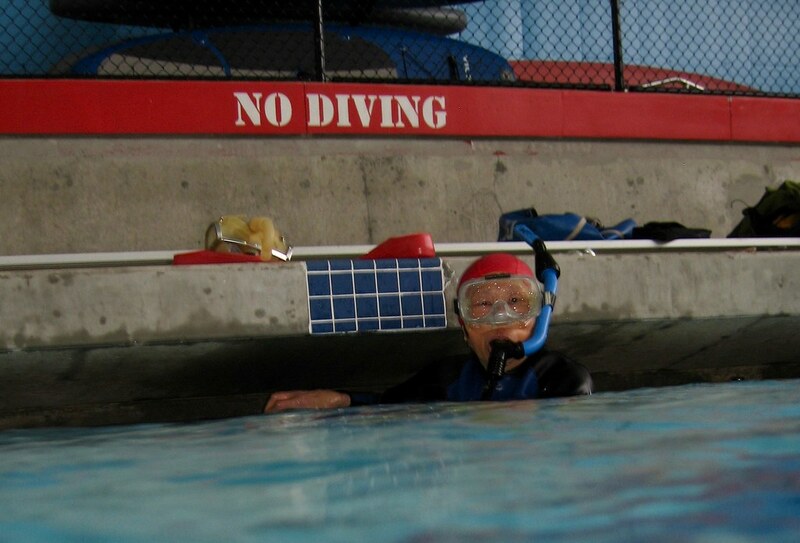 I am usually diving solo too. But I'm in good health, and now the tangle hazard seems greater than my age as a factor in my diving. I got a lot of feedback, even some saying I should not dive solo to those who agreed with my handling of this situation. But the camera system seemed to perform pretty well. What I was checking was whether with gloves I could handle the camera and got good close-ups. 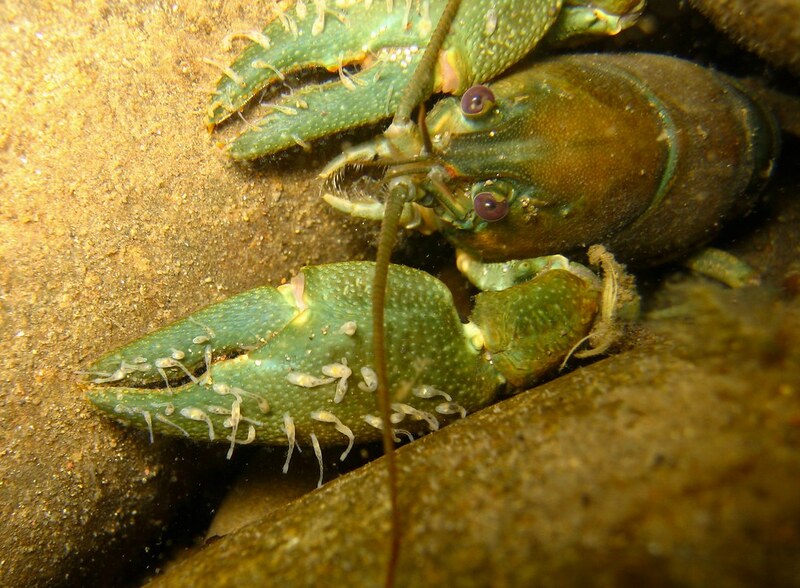 The photo above of the crawdad with the commensal worms is a good indicator that I'm okay with that. But, I do have a problem with the storage in that it only allowed me about 20 photos. I think I need to re-initialize the card. 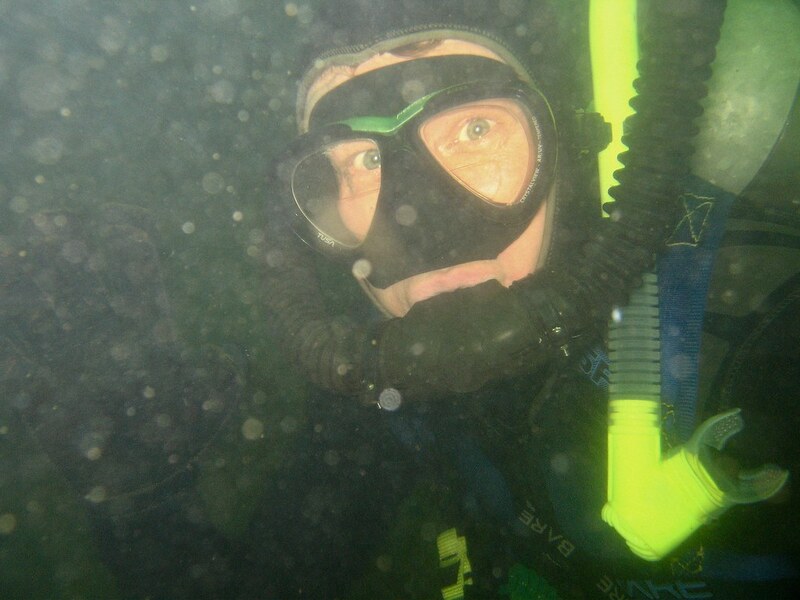 I was diving my Mossback Mk 3, and it performed very well throughout this dive. I took another dive yesterday, and got some more nice fish photos. 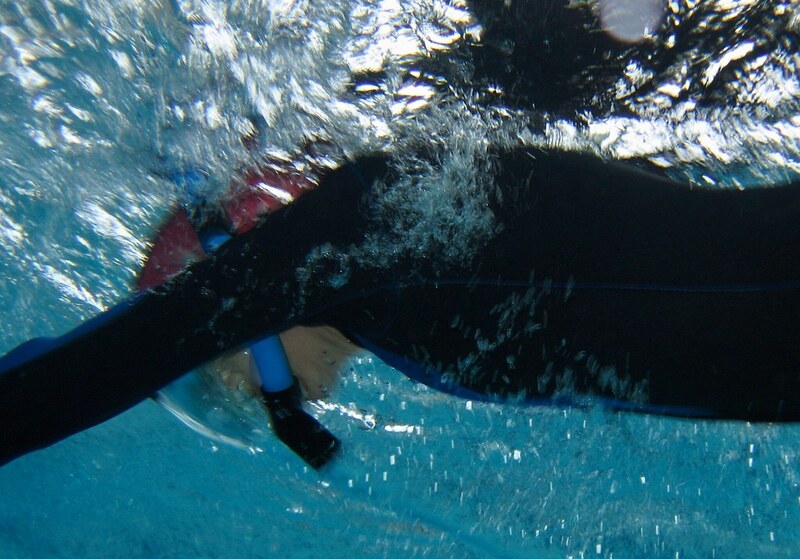 I'm getting more used to this underwater camera system. I still don't like the delay between tripping the shutter and the actual taking of the photo, but it is getting me some really nice photos. 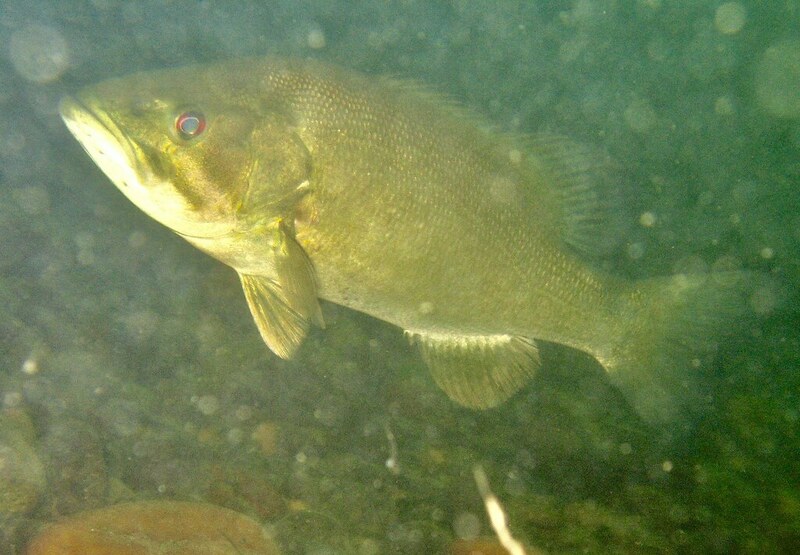 This is a nice photo of a smallmouth bass in the Clackamas River. I got this really nice photo of a small fish I have yet to identify. Note the other fish in the lower left of this photo. I took some time with the two fish above, and re-focused on the smaller fish, getting this nice composition. Very few photographers focus on the flora and fauna of the rocks in freshwater. 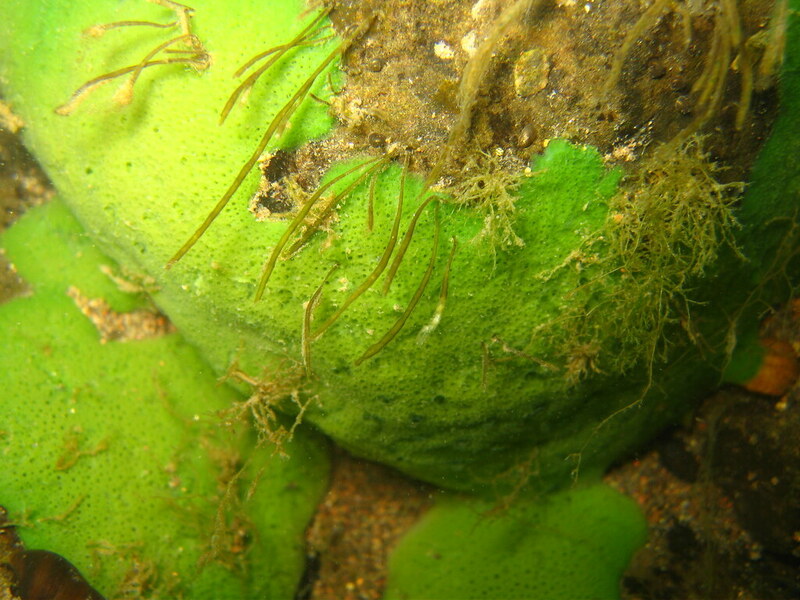 Here we have a colony of freshwater sponge, and then other vegetation growing on a rock. If you look at the very small areas, you can see what appears to be fresh mussels settled on the rock too. 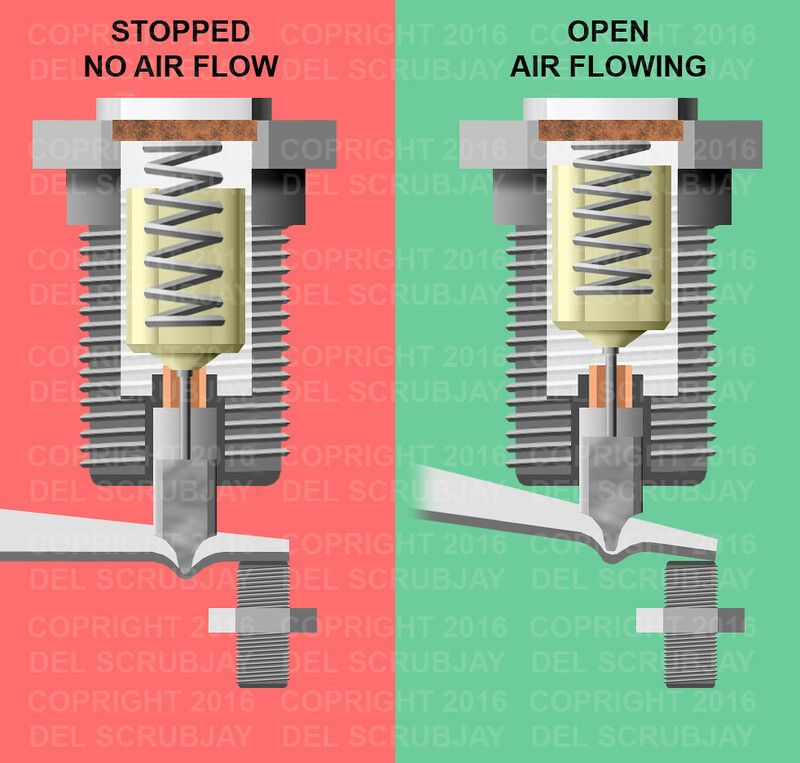 I was using my Hydro-Twin regulator by Sportsways, which I had recently completely overhauled. It breathed great, and it was pretty quiet. 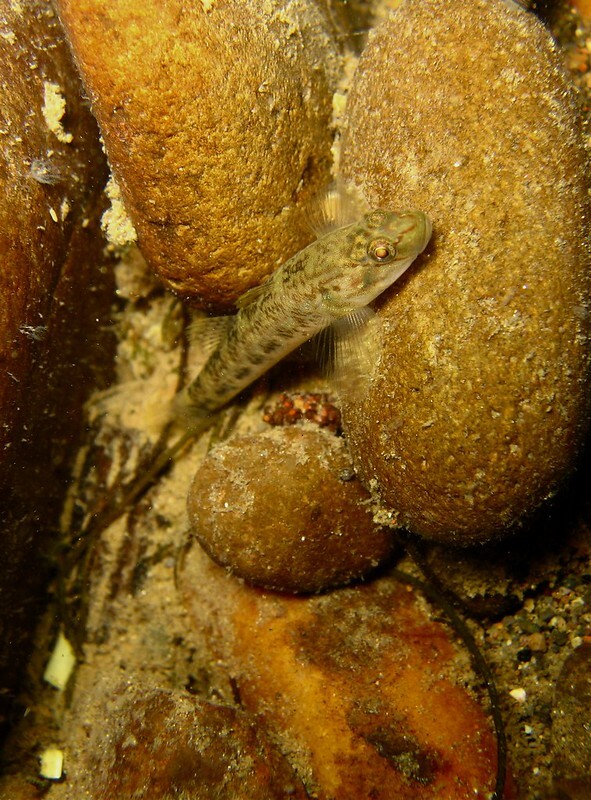 By using a double hose regulator, I was able to get up close to those little, skittish fish and get these photos. 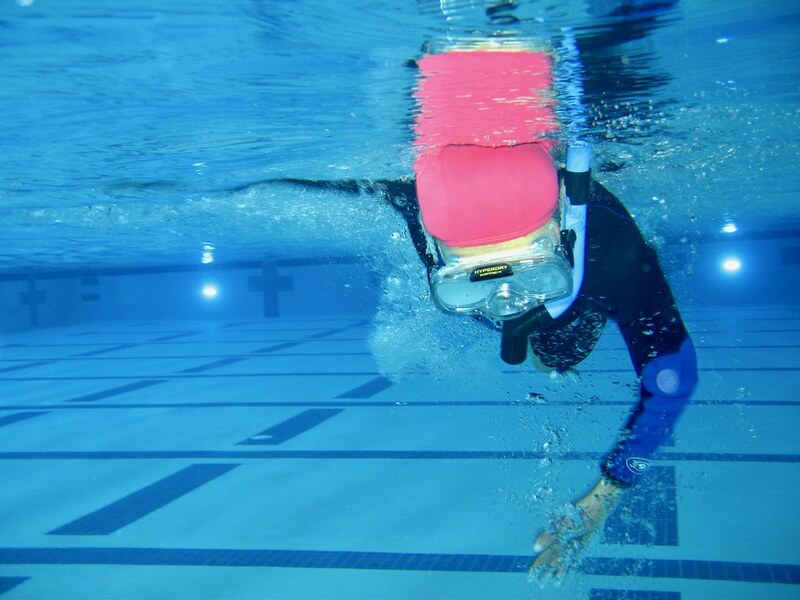 Wow,impressive photos.Will underwater drone help to take photos easier? 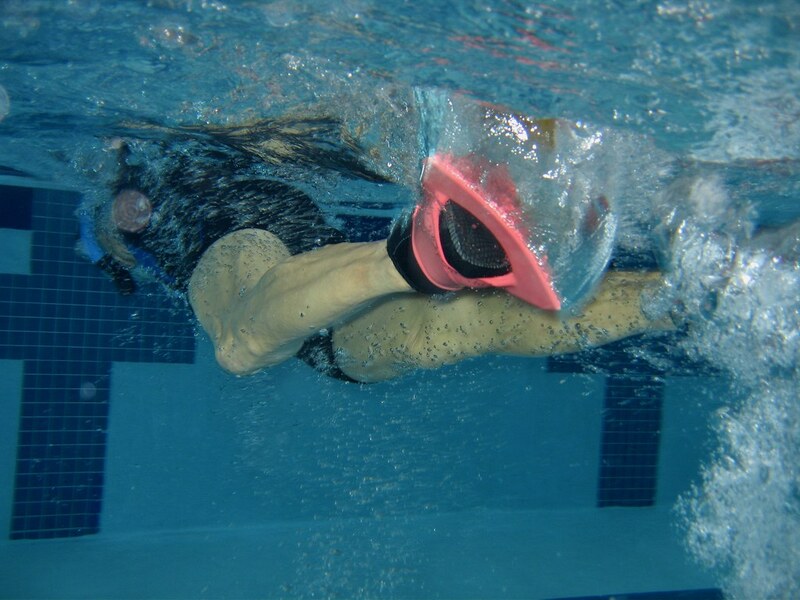 If it can take high-quality underwater photos.